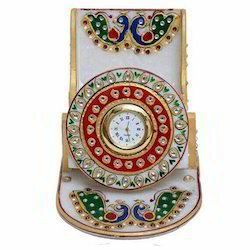 Our range of products include decorative horse set, marble box, marble pooja thali, marble wall clock, marble mobile holder and marble agarbatti stand. 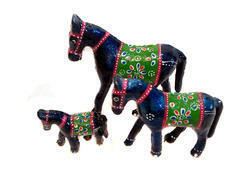 We offer a variety of meticulously crafted Decorative Horse setwhich are widely appreciated in the global arena. Our offered range of products is inclusive of high quality Marble Box. 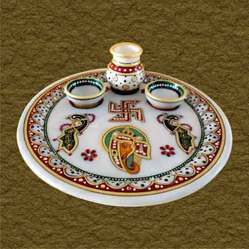 We are one of the leading manufacturers, suppliers and wholesalers of a wide range of Marble Pooja Thali. Assisted by creative bent of mind, we are presenting the most attractive range of Marble Wall Clock. Commonly use used to place at living & guest rooms looks beautiful; the offered wall clock is creatively designed under the guidance of our accomplished professionals using optimum quality marble. 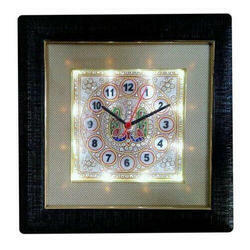 Offered wall clock is available in various sizes & designs as per the needs of our customers. The whole range of wall clock is examined against standardized quality parameters. We are actively engaged in manufacturing an excellent range of Marble Mobile Holder. Widely applauded for its peacock design printing, the offered marble vase is broadly demanded among customers for its attractive design. We provide this marble vase in varied designs and several sizes to meet the individual needs of our customers. Additionally, we are offering this marble vase in various colors at reasonable prices to the clients. 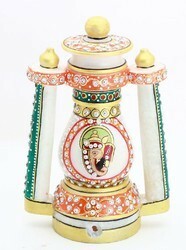 We are engaged in offering a wide range of Marble Agarbatti Stand to our clients. 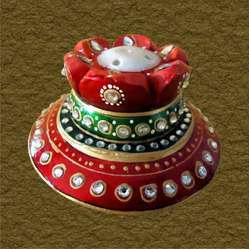 We are a company which is well known in the market for the supply and the manufacture of a high quality of Marble Bal Gopal Statue. 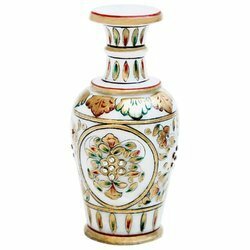 We have established ourselves as a leading manufacturer, exporter, and supplier of Marble Flower Vase. Leveraging on our years of experience we have achieved tremendous expertise in making statue like Marble Krishna Statue. We feel pleasure to introduce ourselves as one of the foremost manufacturer and supplier of a broad collection of Marble Lantern. 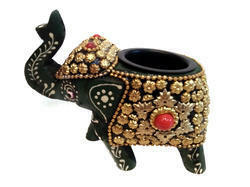 We manufacture and supply a wide range of Wooden Elephant Candle Stand With Metal Workto our clients.